Artist Trouble Andrew was invited by Alessandro Michele to collaborate on the Fall Winter 2016 Fashion Show collection, by incorporating his art into Alessandro Michele’s designs. The final product is a mix of two cultures—a juxtaposition of the past and the present. 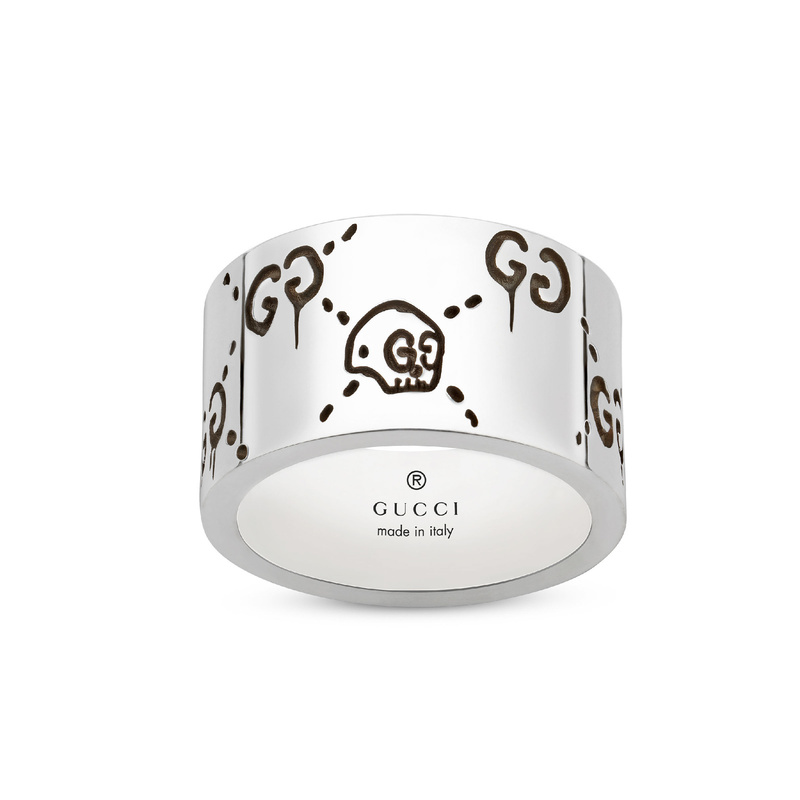 This ring in silver is engraved with Gucci Ghost motifs.